Slots filled with enjoyment are waiting for you at Merlin’s Millions. Is he a wizard? Yes he is and he's here to magically gift you the most wanted prizes. After being featured in video games and television shows, the Arthurian Legend, Merlin has been beautifully implemented in a NextGen Gaming slot game. 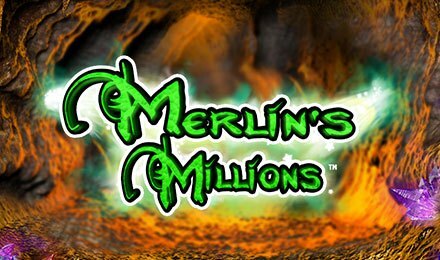 Merlin’s Millions slots consists of 5 reels and 50 paylines, all surround by purple potions, spell books, silver wands, owls and the low card symbols. The foresty layout is sparkling with different coloured gems while Merlin is featured on the left-hand side of the screen holding his wand. With Gamble Features, SuperBet, Owl Bonuses and Free Spins, you’ll surely come out a winner.